Our factory-trained experts at Vacaville Quick Lane will thoroughly inspect your vehicle’s key components and systems from top to bottom. 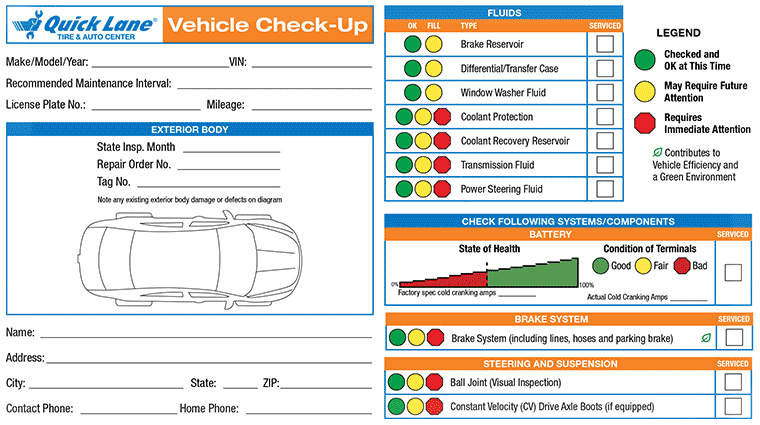 Next, they’ll provide an in-depth vehicle checkup report that will help you monitor your vehicle’s maintenance needs. And remember, no appointment is necessary. Even weeknights and weekends.